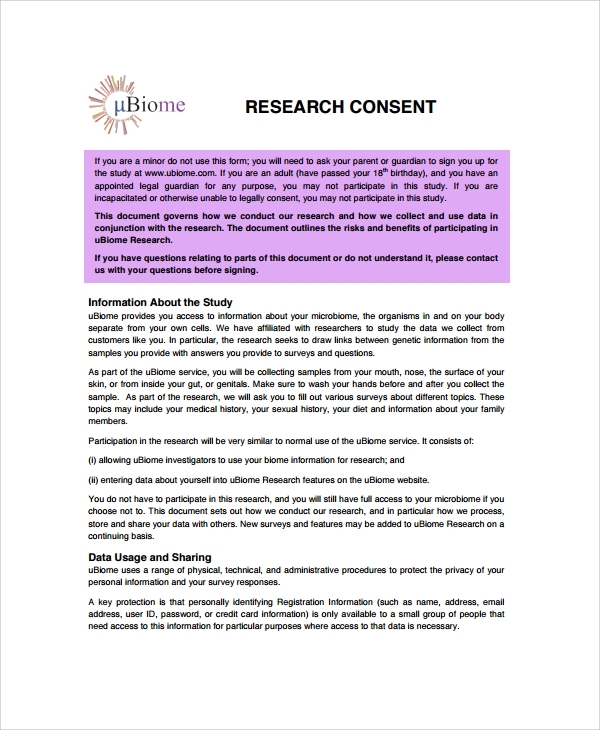 A survey consent form is used to help you take consent from the survey participant. This is not just a formality but a great security, which will always protect rights of both the surveying party and the surveyed party. Legal matters and complications arising from non-consent, and hidden conditions often result in legal battles. That is why you must make sure that your participant or subject signs up the Survey Consent Forms after reading it in full. 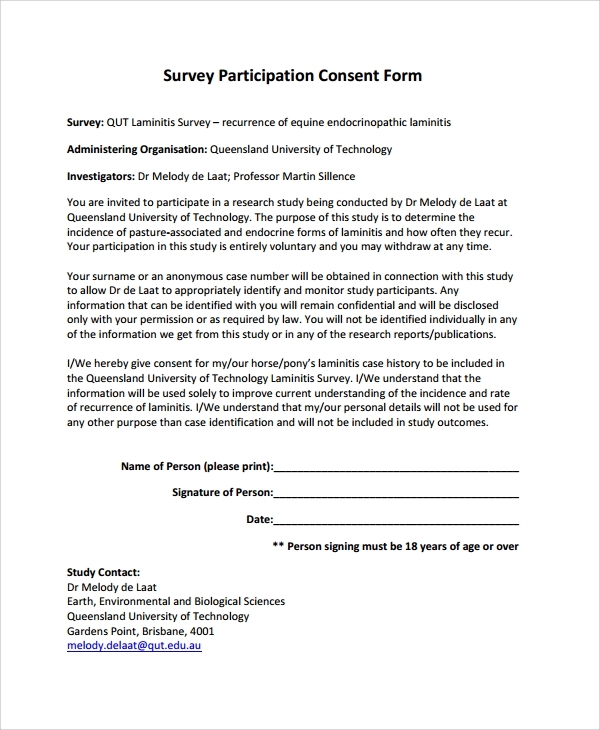 Here are helpful templates and suggestions for the various types of survey consent forms possible. The sample survey consent form is just plain and simple, and it tells you how to write a general a consent form. This will fit into any type of survey, and will give you a basic idea of how legally perfect consent forms are made or filled. 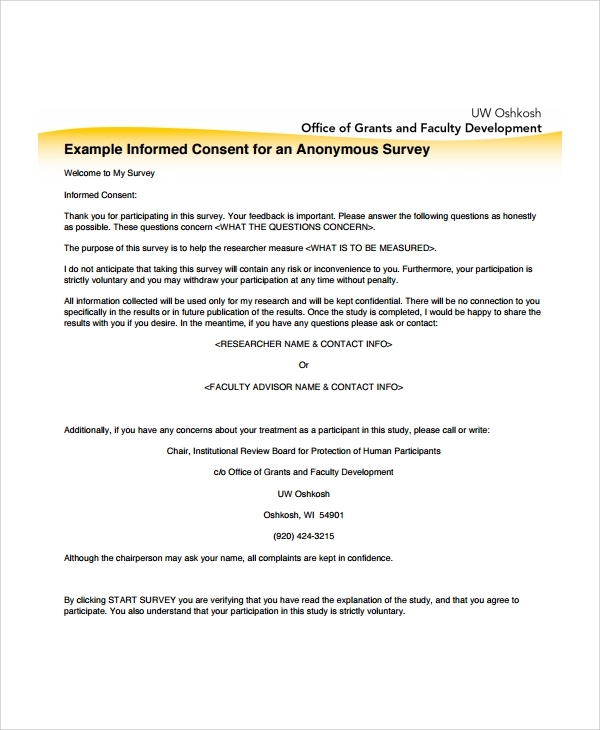 The anonymous survey consent form is the one which actually defines or declares that the survey participant or respondent’s identity will be kept anonymous. Only the opinion will be dealt with and published or used, but nowhere the name of the participant will be used or revealed. 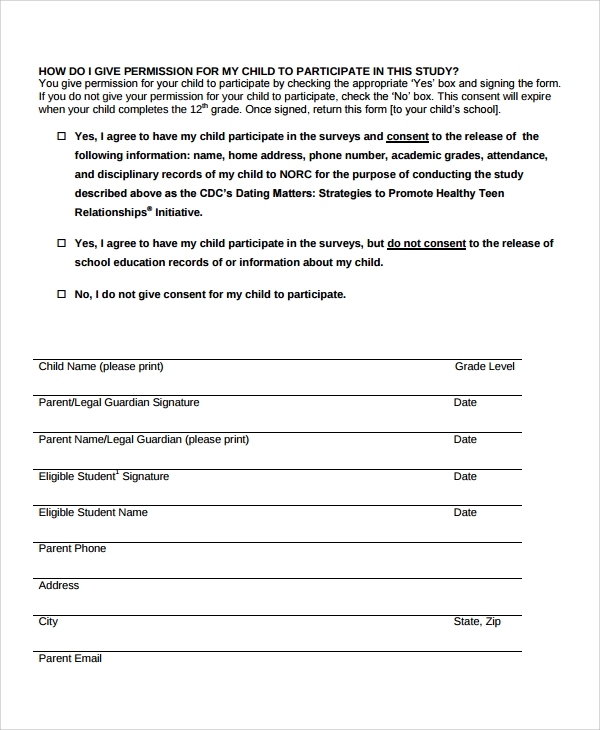 Why Use the Survey Consent Form Templates? 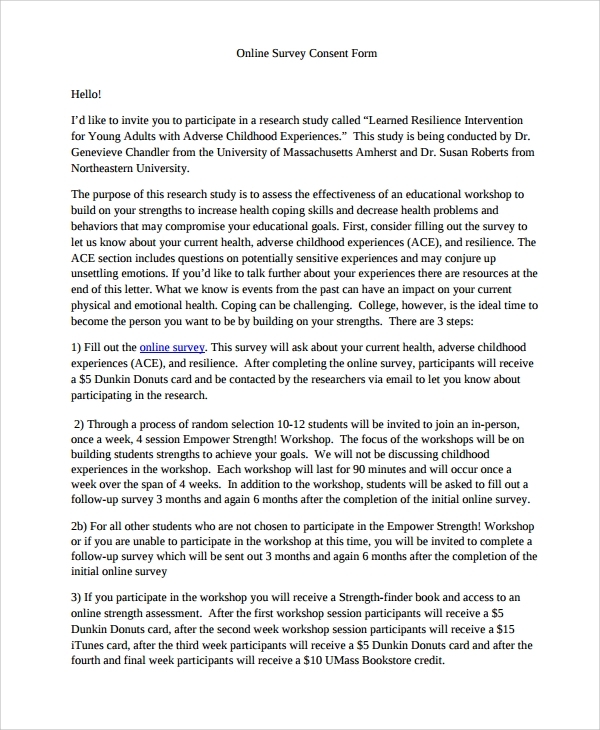 What are the Benefits of Using Survey Consent Form Templates? 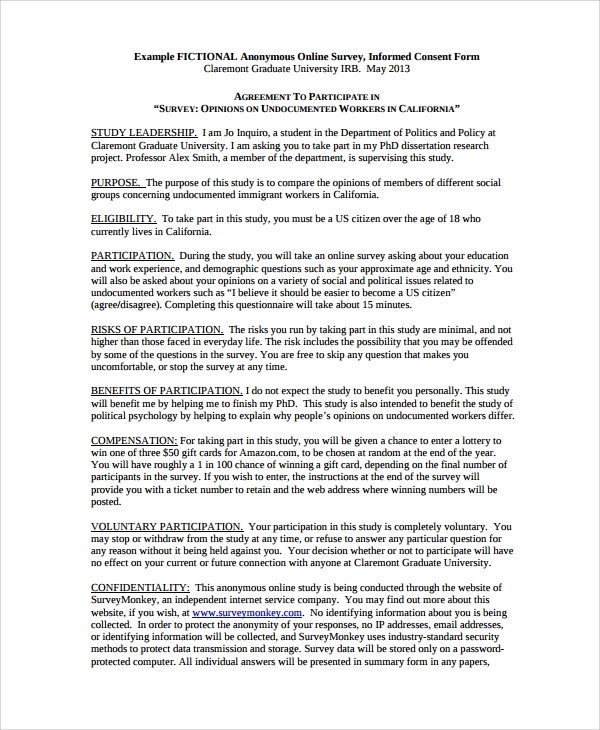 The main benefit of using the survey consent form is being sure that you are perfect legally, and won’t get trapped anywhere for taking opinions on non-consent of the party. Another big benefit is that you save gala time by not taking the headache of making the form setting yourself. And then you may invest that time elsewhere in constructive parts of the survey. Since templates of forms with examples are already available for use online, which are designed by experts, you need not reinvest time and energy on this, and rather concentrate on successful execution and completion of the survey. One good way to start a survey peacefully, and never keep any tension at the back of your mind with the behavior of the participants later, is to use a proper survey consent form. The Word or PDF version consent forms available online for easy download and use makes the whole job easy and you may then concentrate on the survey only.